The SRAM PC X1 11-Speed Hollow Pin Chain is made for SRAM 1x11 drivetrains. SRAM X-Sync technology has virtually eliminated the possibility of a dropped chain. Supplied with PowerLock connecting link, which can be joined without tools (unless you have to shorten the chain). 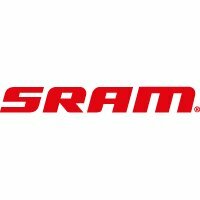 SRAM chains are still made in Portugal in the same factory where the legendary Sedis chains were produced.